Some more rumored details of the Samsung Galaxy Note 10 have appeared online. 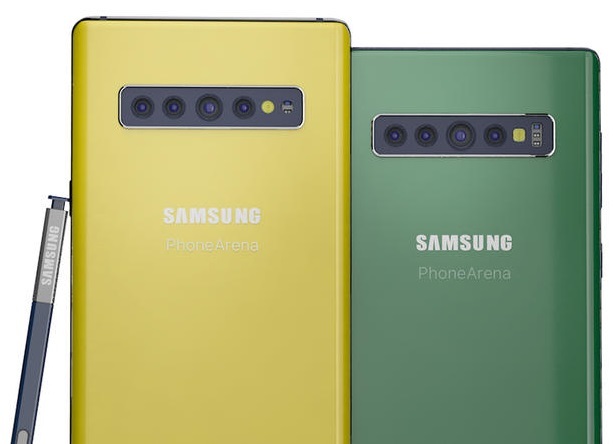 It seems the flagship phablet will sport a similar camera setup to the Galaxy S10 5G, with four cameras on the rear and two on the front. The device, which is expected to come with either a 6.6-inch or 6.66-inch display, could be launched as early as August 8. An anonymous source has been apparently sharing information about the upcoming Samsung Galaxy Note 10 with SlashGear. Some of the rumored specifications are already well-known; however, there are new details about some of the hardware and the possible camera setup. The Note 10, which might not even bear that name upon release, should come with a 6.6-inch or 6.66-inch Super AMOLED screen that offers a 1440x3040 resolution and about 505 ppi. Screen-to-body ratio is expected to be more than 89%. Along with that, buyers of the Samsung Galaxy Note 10 may get an SD855/Exynos 9820 SoC (region variants), 5G modem, possibly UFS 3.0 storage, and they might even experience Samsung’s new 10 nm-class 12 GB LPDDR4X RAM’s smartphone abilities. Let’s not forget the inclusion of an S-Pen with a camera and the range of bright colors, either. 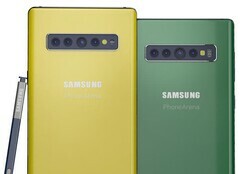 The Samsung Galaxy Note 10 is starting to look like it will completely eclipse the brand-new S10 lineup, and it could be revealed as soon as August 8 with a possible full release date of August 23 suggested.